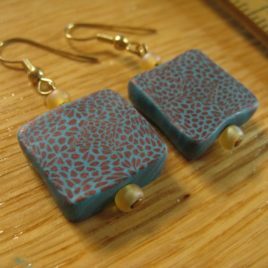 Whether you’re looking to match a holiday sweater or find a more subtle way of showing your holiday spirit, the jewelry in this collection is all perfectly festive. 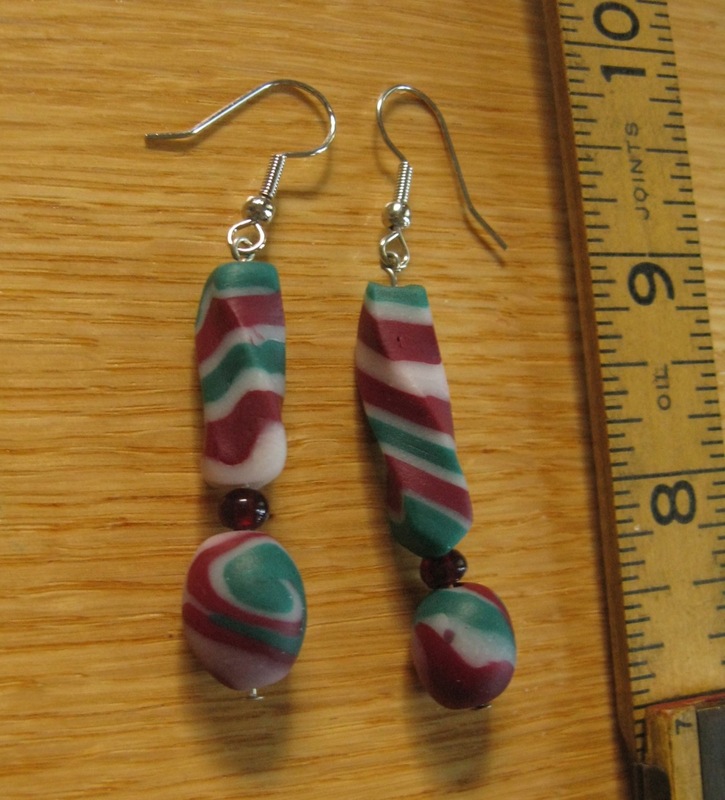 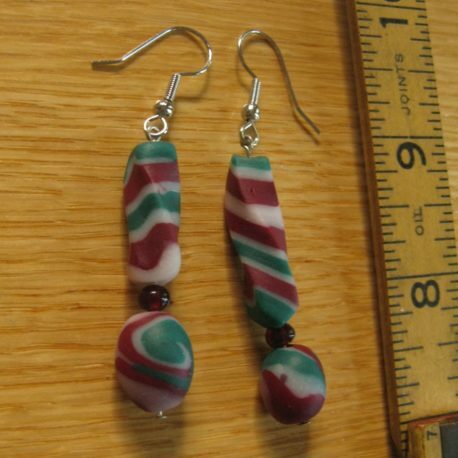 These earrings are made from polymer clay in dark red, forest green, and white, with garnet beads for accent. 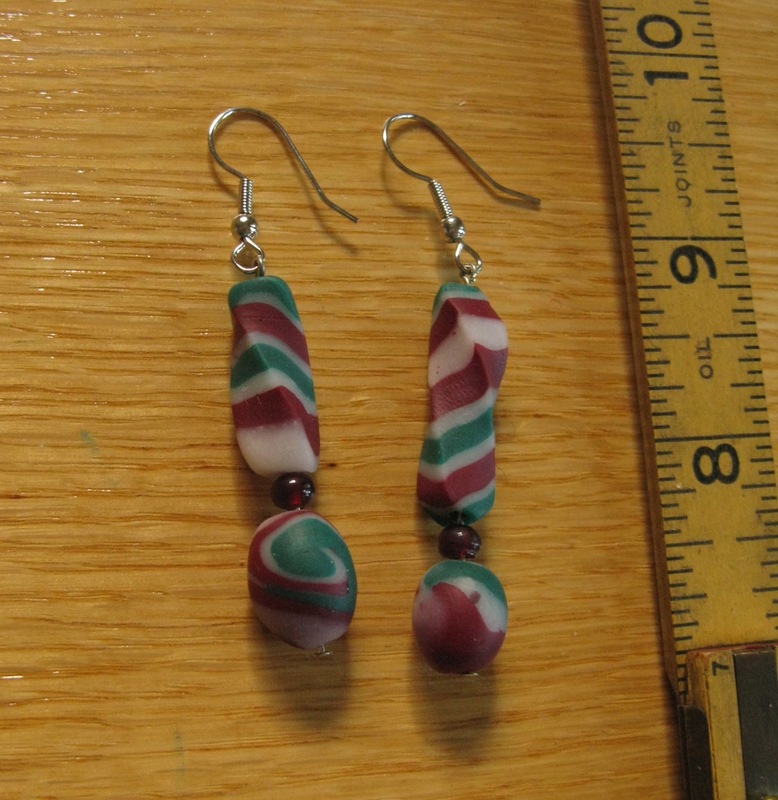 These earrings match the Christmas Stripe necklace. 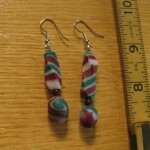 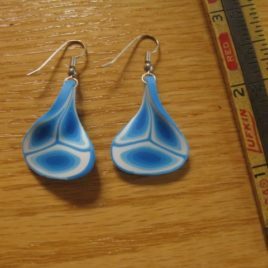 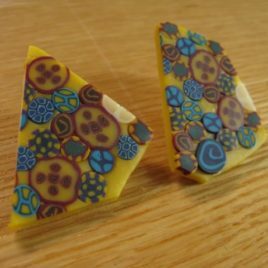 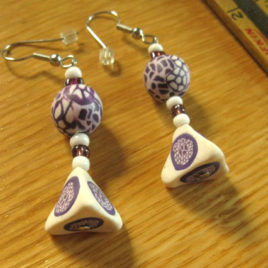 All of my polymer clay jewelry (beads and other shapes) is made by hand, without molds or commecial canes.